Well, this is created by sorbe, and you could view his/her PIAPRO here. And download more illustrations here. The password is 卑怯. 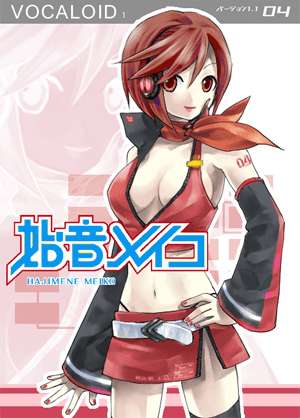 Hajimene Meiko and Hajimene Kaiko eh? sisters eh? hajime means first, i think? 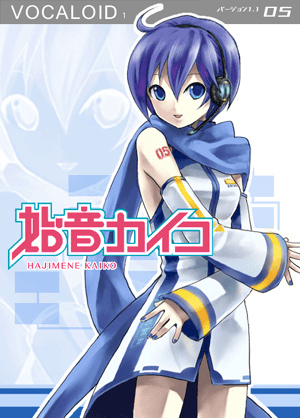 [Hajime] means (Nice) [Ne] means (Sound). 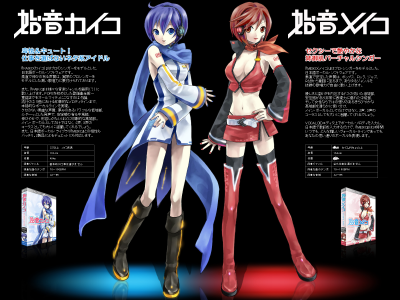 the fact their last names are the same is refing to MAIKO and Kaito being siblings.